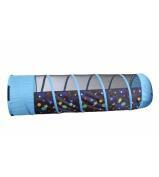 Let your imagination launch you into space with bright-shining stars that GLOW in the dark. 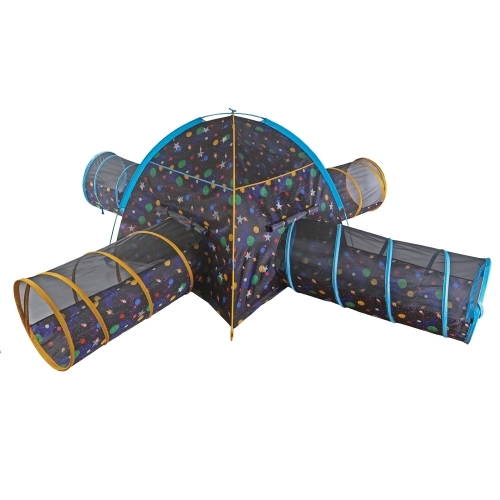 This junction set has a super spacious dome tent and four connecting tunnels; plenty of room for your child and their friends to play! At night, take this combo junction set outdoors, or turn off the lights while playing indoors, and watch its stars glow before your little one's eyes! 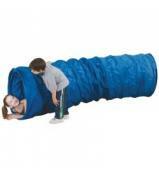 Your child and their friends will love the immersive space experience they get from this combo junction set. 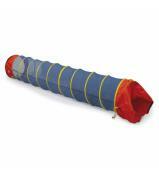 This super durable set is perfect for sleepovers, birthday parties, or an evening spent outside with the family. 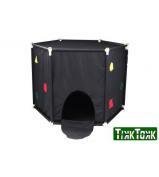 Includes a waterproof floor that makes clean up a breeze! Set-up is easy with its color-coded G-3 poles with matching pole sleeves. 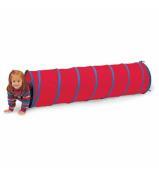 Comes with a carry bag for easy storage and portability.